Sleeps 8-10. 3 bedrooms, 2 bathrooms. Close to beach and pool. Newly renovated. Much loved family beach house. Newly renovated. 5 minutes walk to a picturesque swimming and surf beach with cafe/restaurant, tennis and petanque courts, and kids play area. Access to swimming pool and spa 2 minutes walk away. Fully equipped kitchen with dishwasher. Good views from upstairs deck. 2 queen beds, 4 singles, 1 bunk. Loft above garage. Popular surfing town Whangamata is a 10 minute drive away with fantastic cafes, restaurants and shops. Excellent mountain biking trails nearby. Bath towels provided but please bring your own beach towels. 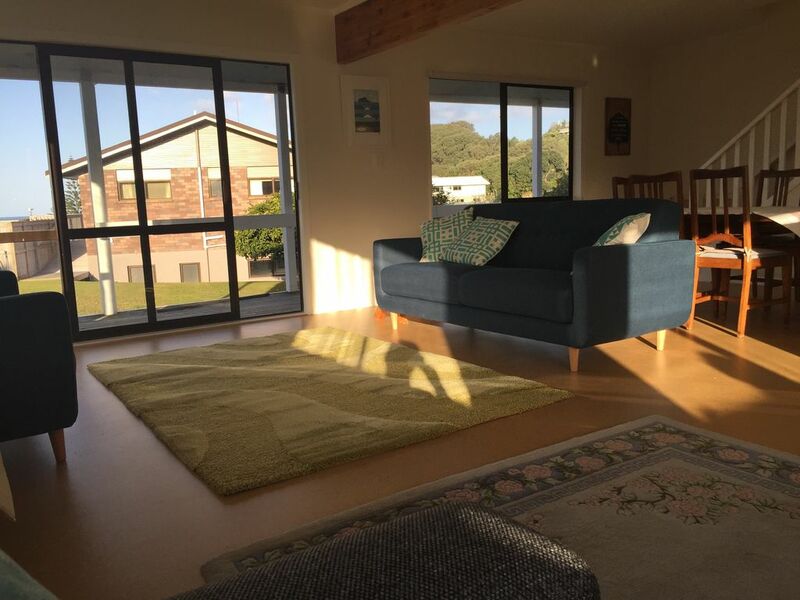 Really lovely bach, lots of space, five minutes from the beach. Great location for exploring the area. Really helpful host, would definitely stay here again! Awesome location, excellent house with everything you need. Highly recommend. I stayed in Julie's bach for a weekend - it couldn't have been more perfect for our family! It was well equipped and had a ton of games and movies to entertain us after the sun went down. Would definitely recommend. Beautiful spot ! So convenient to everything in Onemana. Would definitely stay again. Julia was super helpful, quick in replying and happy to answer any questions. Thank you so much.